Nicer weather is on the way in some parts of the country, but what to do if you find yourself snowed- or rained in? Check out these new video games to play with the kids—and the devices to play them on. 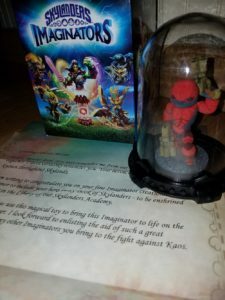 This is the newest in the proud Skylanders line, which uses real-life toy figures that enter the on-screen game through a “portal.” As always, the story follows the Skylanders as they try to defeat the evil Kaos in his latest plan to destroy Skyland. Kaos has found a new power called “Mind Magic,” and is creating an army of Doomlanders. The leader of the good guys is Eon, who calls upon Portal Masters (that’s you!) to battle Kaos and his army. To help, there are Senseis who give players new powers that you can use to build and equip your Imaginators. 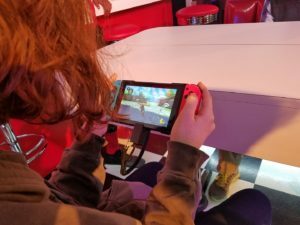 If you’ve got the new Nintendo Switch (more on that below), you’ll be able to save your Skylanders figures’ stats and abilities to the system so you can play Skylanders on the go, without having to schlep the figures or the portal. 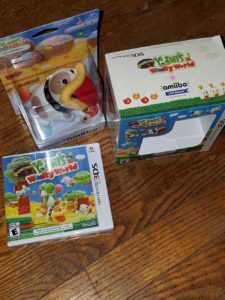 This entry was posted in Reviews and tagged nintendo, skylanders, switch, yoshi on March 10, 2017 by Parents@Play Team.